Social media has proven to be a lucrative avenue for many on the internet. 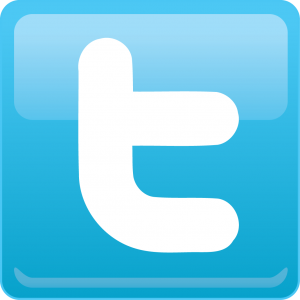 With Twitter, traffic can easily be harnessed to convert to dollars in your bank account. Many people have harnessed the power of Twitter to make contacts and improve their following, but only a few have realised the potential use of Twitter as a driving force for huge amounts of traffic to their site. But that begs the question: how to get more traffic to Twitter? That's the million dollar question these days. We know that getting more Twitter traffic means you have recognition, engagement, and an ongoing conversation—which in turn leads to more site traffic. It also permits you to spread your message to more corners of the globe. It gives you prospects and opt-ins. Twitter traffic means more sales, more leads, and, more importantly, more customers! Twitter traffic can also lead to media interest, which begets even more attention and recognition. And, hey, a whole host of Twitter traffic is pretty nice for the old ego as well, but once again, how exactly do you go about getting this elusive traffic? #1 knowing your audience. You have to know who you’re talking to. That’s why your Twitter account needs to be focused. If you're just throwing out message after message with no real target in mind, then you're wasting your time simply talking (or tweeting) to hear your own voice. (If you do this, then listen close for the sound of people un-following you!) Instead think about this: what trends are getting hot? What does your audience want information on? What do they need to know that they currently aren't even aware of? Another important piece of the puzzle is speaking their language. You have to tweet in the language of your audience, using the phrases and words they recognise, so that it's meaningful to them. You can’t engage an audience you don’t understand. So begin by first observing your target group, so you know how to approach them. 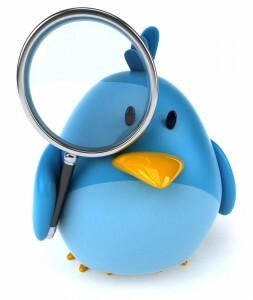 If you want to know what people are talking about on Twitter, use the search.twitter.com function to find out. Once you have some ideas, hop into the conversation. Engage people and start getting a feel for what’s on their mind. #2 You need the right followers. Followers are good. But the right followers are better. The number itself isn't the point. The point is having people following you who are listening to what you’re saying. Auto-followers are useless in terms of monetizing your account. Why would someone to auto-follow you? Simple: to increase their own follower count. That doesn't help you at all. What you want and need are those followers who are actually reading your tweets and who are interested in what you’re saying. If they are, then they'll re-tweet your tweets, which is critical to finding more genuine followers. Another way to find genuine followers is by posting your Twitter account information on your blog and in your Facebook posts. Are you guest blogging or commenting on other people’s blogs? Include it there too. Ditto your own forum posts. Include it in your signature on your forum posts and emails. #3 Engagement is key. You have to talk to your followers. You need to be cognizant that you have real people out there listening. Don’t just act like Twitter is a stage where you’re performing, get people in the conversation with you. Use your social media platforms to hold conversations, ask questions, ask for feedback—to which you respond, and get into the conversations of other people. #4 You want clicks. Use your account to Tweet links that other people will be interested in. The worst thing you can do with a social media account is to indulge your own narcissism and make all your tweets about your own stuff. Boring! (And selfish. Not a good look!) When you find something cool and noteworthy, then share it. It doesn't matter where it came from. When you share interesting things, people pay attention. When you re-tweet from something interesting, they take notice of what you’re saying and re-tweet you. Synergy is what makes social media go round. There is an art to this though because your followers are likely in different time zones or are on different schedules. To make use of this, make sure to tweet at varying times of the day. Monitoring the response to differently timed tweets will enable you to time things well. You can also tweet the same thing multiple times, staggering them a few hours apart to give your tweets the chance to be noticed by different time zones. Another way to get more clicks is through your headlines. Questions and how-to's also tend to get more clicks. #5 Keep data on performance. Use a built-in click-tracker. Bit.ly is a good one that lets you see how your links perform. This helps you decide over time which links to use. #6 Test and retest to find what works. Once you have identified what works for you, do it. But keep re-testing because things get stale. You have to mix it up and keep it fresh to keep people engaged. #7 Sharing is caring—among everyone. Include social share buttons so that anyone who likes the content you create can share what you shared. This way, your message keeps getting shared by other people. You can also occasionally ask for re-tweets, but don’t do this too often. Over-asking is a good way to come off as selfish and an attention-hound. You can also offer prizes for re-tweets. Again, use this idea sparingly. So there you have it: the secret to driving Twitter traffic. Get the right people listening, be engaging and interesting, share very cool and awesome things, and encourage others to share it too. It sounds simple, but if it were really that easy, then everyone would be doing it! "Paul, thanks for all your help. So far you are the only person that I trust to do this type of thing with because you are really there to help! Thanks again for all your help." "Thanks Paul! This is what I call help; it’s as if you are inside my head! Please be assured I will work with what you have said." "Thanks for your great report"
"Hey Paul, thanks for your great report that encouraged me to take the first step. I’m still new to the SEO world so thanks again!"